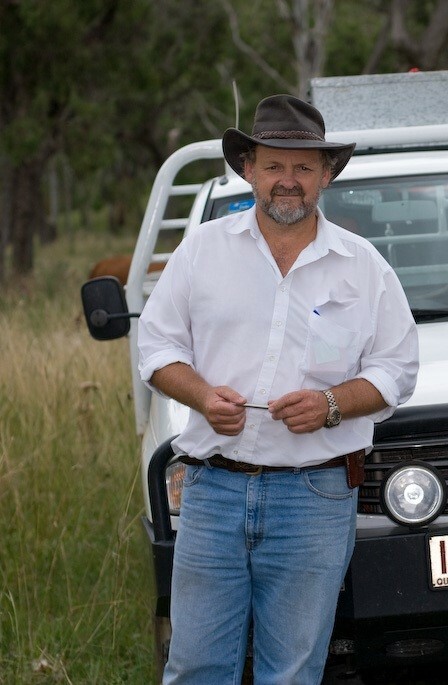 CROSSROADS Rural & Environment is a small consultancy based near Toowoomba. Our central objective is to provide personalised service at competitive rates, so we intend to stay small. This philosophy, coupled with our wealth of experience, enables us to provide high quality, value for money environmental and rural solutions to the farming, resources, local government and State Government sectors. During his time as an environmental scientist and project manager with major consulting firms Unidel, AMEC and RPS, Steve Cupitt recognised the changing market expectations and the need for high quality service where costs are kept low. Equally committed to the rural sector (farming and grazing), resource extraction companies (gas, coal) and the renewable energy companies (wind-farm, solar), CROSSROADS Rural and Environment and its ‘without prejudice or bias’ motto was born in 2015.
regional ecosystem identification and mapping in the Galilee, Bowen and Surat basins, Desert Uplands, Southern Gulf, NSW north-west slopes and South-East Queensland. Protected Area Management (PAM) External – nearing completion. designed and implemented a Due Diligence Investigation Program incorporating an in-depth Rural Risk Analysis developed to assist landholders, resource companies and developers to ensure they make sound financial decisions when buying or developing a property or tenement. BMA Coal (Blackwater, Springsure, Rolleston, Moranbah) - conducted 30+ Regional Ecosystem assessments BMA owned properties to evaluate suitability as environmental offset areas. Cockatoo Coal Limited (Dysart) - assisted in the development of an offset strategy and provided extensive advice on various offset options. Dysart Coal (Central Qld) - identified 5,000 ha of potential offset sites for future use by negotiating with interested landholders. Eastern Star Gas (NSW) - identified and secured environmental offsets in the north-west slopes of NSW. Logan Water Alliance - identified and secured offsets for a linear infrastructure development, to the satisfaction of State and Commonwealth governments. Newstead Pipeline Offsets Strategy, APA Wallumbilla - assessed offsets requirements, prepared cost estimates and a landscape scale assessment to determine feasibility. Origin APLNG Project - involved in offsets identification, assessments and landholder engagement in relation to well pad and pipeline impacts on remnant vegetation. Origin APLNG Project - conducted flora and fauna surveys, ecological condition and bio-condition surveys on likely offsets properties to determine suitability. Queensland Curtis LNG Project - assessed current and future offsets requirements, prepared offset budgets, conducted landscape scale feasibility assessment of securing offsets, and identified priority offset sites associated with the Curtis Island Export Facility, pipelines and well pads, in line with State and Commonwealth legislation. Rothwell Retirement Village - conducted bio-condition assessments on suitable offset areas and reviewed alternative areas identified by Local Government. Stockland - identified Koala offsets and negotiated an agreed value between the landholder and client, included offset management plan, tripartite agreement and the State Government Voluntary Declaration. Thornlands Boat Slipway (Moreton Bay Regional Council) - assisted in the development of an offset strategy and conducted marine offset calculations. Wiggins Island Coal Terminal - identified offset areas, negotiated with landholders, conducted ecological assessments and liaised with Government Departments to secure suitable offsets. Xstrata Coal (Springsure) - identified offsets properties, engaged landholders, ground-truthed vegetation, and conducted preliminary property reviews and bio-condition assessments on a number of properties around Springsure, Rolleston and west of Blackdown tablelands. Arrow Energy - surveyed for weed species identified as Weeds of National Significance (WONS) and other declared or problematic weeds, developed a weed management plan and organising a weed control crew. Dysart Coal (Central QLD) - searched tenements for EVNT flora and fauna, ground-truthed Regional Ecosystems and located Threatened Ecological Communities under the EPBC Act. Ergon Energy Powerline Surveys (Taroom, Wandoan, Wondai, Injune) - surveyed 12 powerline easements for EVNT flora, tree density and problematic weeds. Iwasaki - conducted flora survey and Regional Ecosystem ground-truthing on a large site north of Yeppoon, Qld. Kevin’s Corner / Hancock Coal / Rail Corridor - conducted flora and fauna surveys north of Alpha to locate specific EVNT flora and fauna species, weeds or nuisance species on proposed mine site and 9 km rail line. Millmerran Solar Farm (largest solar farm in the southern hemisphere) - completed the ecological report on 4,000+ ha across 4 properties, completed weed management plan for construction site. Origin APLNG Project - surveyed the main pipeline for weeds, ecological values, Regional Ecosystems, habitat and riparian attributes. Origin APLNG Project (Spring Gully) - surveyed tenement for weeds, EVNT flora, habitat and ground truthed Regional Ecosystems. Origin APLNG Project - conducted environmental seismic surveys in the Dulwogan and Condabri fields for flora and fauna, weeds, habitat and significant ecological features, as well as fauna spotter/catching in front of machinery. QGC LNG Project Surveys - conducted ecological surveys for gas field development, linear infrastructure and compressor stations, included habitat identification, weeds, EVNT, riparian management and regional ecosystem identification. QGC LNG EVNT - conducted EVNT flora species quantification surveys, devised methodology to determine the number of species on site and provided data to the DEHP and Qld Herbarium. QGC LNG - developed species management plans including a quick assessment tool for use by field ecologists and contractors to determine the likelihood of occurrence in any given location for 10 significant fauna species. Qld Rail/Aurizon (Dysart, Moura, Gladstone, Rockhampton) - conducted EVNT flora and fauna surveys on a number rail expansion in Central Qld, involved surveying, documenting and recording weeds, EVNT flora, fauna habitat and potential watercourse management issues. Rothwell Retirement Village - conducted bio-condition and ecological equivalence on coastal vegetation for a development, and assessed an area for vegetation offset suitability. Santos - consulted on ground-truthing Regional Ecosystems and rehabilitation of degraded sites. Thornlands - conducted marine vegetation assessments and reviewed a marine offset area as a result of a slipway development application. Toowoomba Regional Council (proposed pipeline) - surveyed for weeds, EVNT flora, habitat and Koalas. Toowoomba Regional Council (road alignment) - surveyed for 5 EVNT species likely to occur, as well as a watercourse condition assessment. Toowoomba Regional Council (sewerage treatment works expansion) - surveyed for potential presence of rare and threatened species, mapped locations identified. Toowoomba Regional Council (road widening for airport link) - identified and flagged Threatened Ecological Communities. White Rock Wind Farm (Glen Innes, NSW) - design input to minimise impact on EPBC listed vegetation, conducted flora and fauna survey and mapping and completed a bio-banking assessment for offsets. Landholder ‘A’ – conducted transects of property to confirm that vegetation cleared in the early 90s and mapped as remnant was actually not remnant, completed a map change to Category X non-remnant, finalised a PMAV to ensure the country stayed mapped as Category X.
Landholder ‘B’ – produced maps to define the vegetation on the property as well as coordinates of the edge of remnant vegetation so regrowth could be maintained without impacting on the remnant vegetation. Landholder ‘C’ – conducted pre-purchase due diligence to define vegetation management risks were from local, State and Commonwealth government levels. A comprehensive search revealed local government constraints on regrowth (despite a PMAV being in place), no significant issues with State remnant vegetation as a result of PMAV (Category X) being in place; however, significant constraints at the Commonwealth level (Threatened Ecological Communities; Matters of National Environmental Significance) severely limited the landholder’s ability to manage old, advanced regrowth despite State administered PMAV indicating otherwise. Purchasers were armed with the knowledge to avoid likely prosecution and financial hardship for illegal land-clearing at the Commonwealth level. Landholder ‘D’ – in response to contaminated surface water concerns, conducted water analysis and a thorough biocondition assessment to analyse the health of the Regional Ecosystems concerned. Results indicated poor upstream farming practices had severely impacted the water quality vegetation health to the extent that the water was not safe for irrigation or home use. Landholder ‘E’ – conducted risk assessment ‘just to be sure’ there were no hidden surprises as landholder wanted to farm land that hadn’t been farmed for 20 years, had a PMAV (Category X) in place and only had minimal, light regrowth. A search revealed that a ‘Trigger Map’ under the Nature Conservation Act impacted the land and that a flora survey was necessary to ensure the flora ‘trigger’ of the Trigger Mapping did not occur on the property – conducted flora survey, completed required paperwork, and obtained approval from the Department to enable farming to proceed with no compliance issues. Brisbane City Council - reviewed plans for Boondall area wetlands and liaised with engineers, gardeners and planners on final species selection and the most appropriate design for public use, ease of maintenance, flood mitigation and water quality. Condamine Alliance / Western Downs Regional Council - managed watercourse rehabilitation project involving stream-bank stabilisation, installation of Lunkers as fish habitat and rehabilitation of the riparian zone. Condamine Alliance (Commonwealth Government Watercourse Monitoring Program) - designed and implemented project to monitor water quality on 17 km of the Condamine River south of Dalby, as well as conduct 22 bio-condition assessments of riparian vegetation. Condamine Alliance - assessed sections of the Condamine River, Myall Creek, Emu Creek and Oakey Creek by conducting bio-condition surveys and water analysis, as well as interviewing landholder / stakeholders and conducting information sessions on stream management and rehabilitation. Kings Creek rehabilitation and restoration project - conducted landholder consultation, developed riparian and watercourse management plans, allocated funding in strategic locations and implemented mitigation measures where farm tracks crossed streams and caused erosion and loss of vegetation. Longswamp wetland rehabilitation and revegetation project - engaged with all landholders along a 25 km stretch of wetland from Cecil plains to Lake Broadwater to aid in revegetation of Longswamp, planted over 3,000 aquatic species, removed invasive weeds, and implemented erosion control measures to enable the process of natural restoration. Peabody Wilkie Creek Mine (rehabilitation monitoring) - monitored 12 rehabilitation sites as part of an ongoing monitoring program designed to determine the effectiveness of natural regeneration, revegetation and development of improved pasture species. QGC (stream order review) - assessed a catchment using the USA / Canadian stream order assessment system (categorises streams based on location in the landscape, depth, banks, riparian vegetation, aquatic vegetation and the numbers of stream junctions), and trained key QGC personnel and contractors in recognising stream orders in any given landscape. The Wilkie Creek Project - identified and implemented erosion control measures along a 12km stretch of Wilkie Creek.